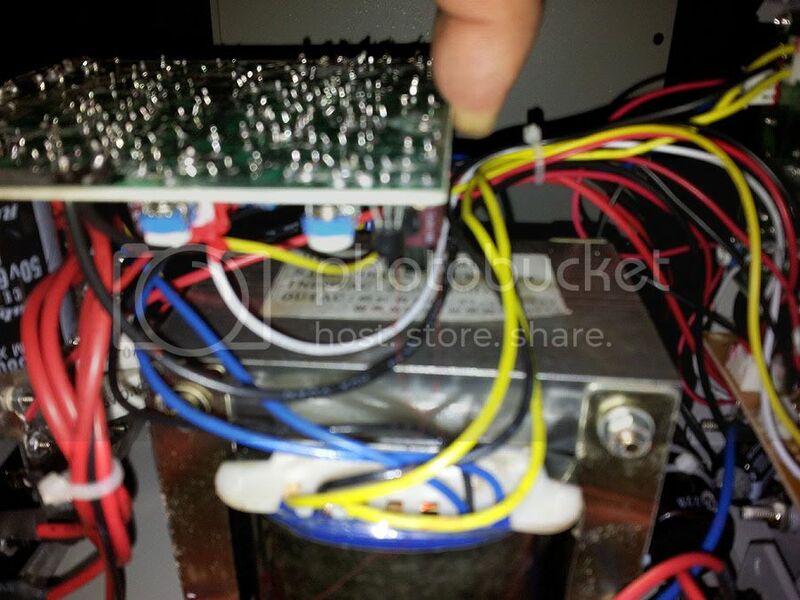 I've been running into this Instek, Mastech etc., look a like during eBay or google searches on bench power supplies. Its fairly prolific and some vendors are selling them like hotcakes. schematic of a 305D ... any mod suggestions? I just did a quick check on a 305D. Driving a ~6 ohm ww at 2.5 volt / .5 amp, I get a .5volt overshoot and ~.008 volt / 60hz ripple. It’s a 10A version without Low and High Amps limitation, I wrote something about it in another topic while I was testing the fan noise of my scope. The power supply came out the box with burned plus banana plug inserts, they used some crappy 3A versions so I changed that to 16A versions, and the fan makes too much noise (it is always on). 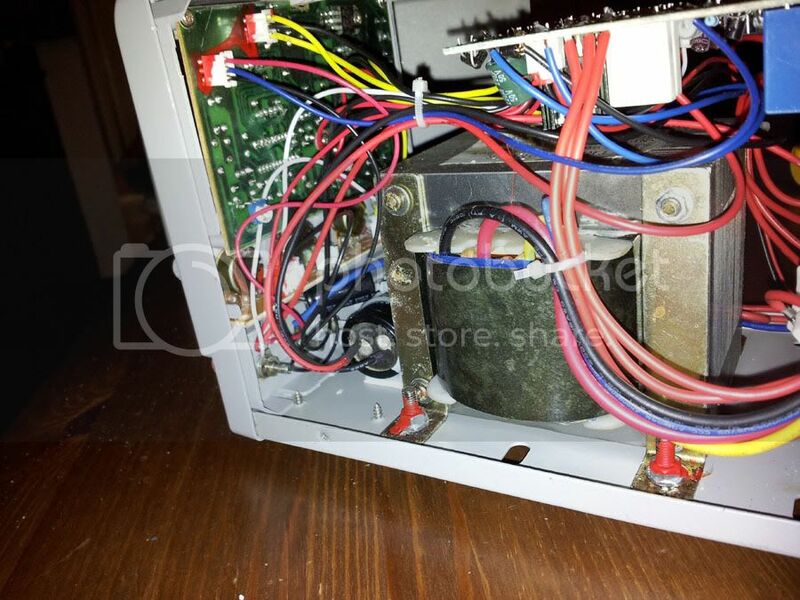 There is a huge capacitor dangling around in the housing which they try to mount to the bottom with a tie-rap mount, but that was also loose of course. Wiring inside is crap, there are 4 output transistors mounted inside the housing on a 2mm aluminum piece used as heat sink but it is not even close to one. I just checked my phone there was some pictures of it which I took for my friend, I will post that below, also a movie with output noise on a scope. I use the power supply for high current automotive lambs and other automotive things to test them out, so it is good enough for couple minutes using for me on not so fragile things. But to be honest, I wouldn’t recommend this power supply to anyone who is doing some fine electronics projects. I was going to review this power supply but I really need a bigger bench, I don’t have any room on my bench so I am heavily busy to make a new bench. Do they use preregulator switching ? Or is it truly linear and uses multiple taps relay switching ? Has anyone used totobay ? Looks like Yihua and Mastech have same origin but circuit differences then. No problems with my Mastech branded dual also. I'm happy for you. I guess you can say Yihua and Mastech both originate from China, but there quality is far different. Your unit looks well made, by what I can see of the assembly, and most Mastech's I read about work as expected, and few if not any complaints. But I can't be sure that the brand name Matech is made by same company if you buy it in the US, Greece or other places in the world. So caveat emptor. What can be seen at the top PCB looks rough, the power resistors that are dangling in the rear heatsink, and its odd to have a floating capacitor that is just zip tied, see middle photo. Saturation is right there, yours look a lot better build than mine, like I mention mine came with melted plus connector, since I use it only for rough tests like automotive lambs and so on, it doesn’t matter, I got couple other supplies for more delicate work. The NTC thing I added it myself primary side by the way. Because it was 2 out of five times tripping my 10A breaker line when its massive toroid Tx was building up field at start up. While it is obvious that the loaded start-up and regulations characteristics of the MasTech supply are superior to those of the Yihua unit, it would never occur to me to start-up either supply with a load connected--especially if said load were a an established device or project under development--BTW the Mastech's ability in that regard are impressive. With regard to MasTech bench supplies however, I have a dead HY-3010E that will will give to anyone willing to pay the packing and shipping costs. I bought it several years ago and was never impressed with it's quality, i worked for a couple years and then the smoke came out--MasTech was of no help whatsoever, they sent me a schematic that is different from the version I have and made it clear that no replacement parts or modules were available. It is a switching type supply and I believe the transformer in the control supply is shorted. I also have two Leader bench supplies, a 7110-3D 110V 3A and a 718-20D 18V 20A. They look very similar to the MasTech instruments, which I believe to be at least cosmetically clones of the Leader units, and are 10-15 years old and have never missed a beat. 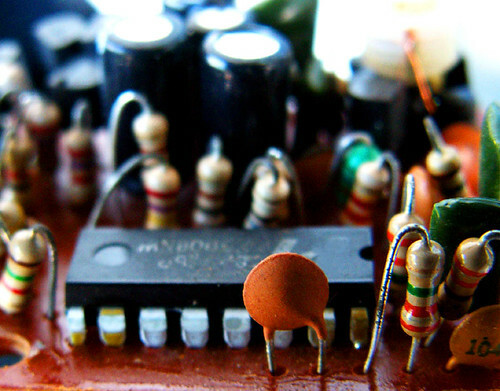 They are digitally controlled analog supplies whose only deficit is their weight. Actually, all these units (Yihua and co, above mastech, Leader) are aesthetic copies, or rebadged Goodwill (now GW Instek) units. The classic design dates back god knows how long, and originally had analogue readouts. You can still buy this version new (GPS-3030). I think nearly every electronics bench I've seen has has one of these. They're very recognisable, probably why everyone copies them. back to the topic though, I've got some pictures at home of a really cheap BEST supply.. another Yihua under the skin I believe. They would be complete with output on/off switches and remote sensing on front panel even if they would have to cost more. TTi EX-R style functionality at lower quality but still decent in other words. That's a market gap begging to be to filled. 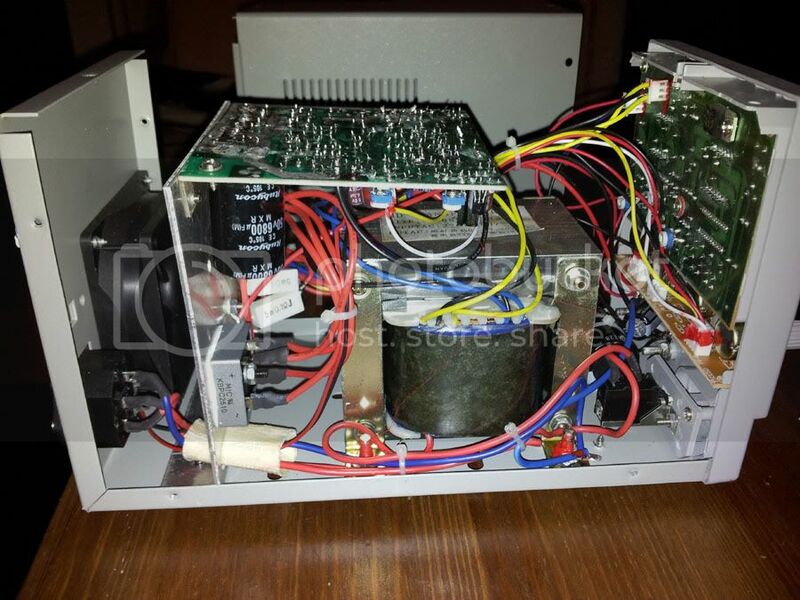 I have the same power supply with code ST-305D sold by Instrutech in Brazil. It has worked fairly for a couple of years. Unfortunately they dont put a fuse to protect and I've blown my on 220V without changing the switch to the correct voltage. Does anyone have the schematic to help me so I can fix it ? Thanks !! There is a CCT in previous page post #2. Does not show the transformer part though. Recently, I have been putting together a little hobby lab (after too many years of software only work), and got one of these 305D supplies (mine is labelled WEP PS-305D). After getting the unit, I read this post and thought I would check my unit (plus also playing with my QA-100 ;-)). The results are attached. Seems like, as with many Chinese products, your mileage may vary. After my ancient bench PSU died, I then built my own (2 * 25V @ 6A) . I would be very interested to know what tests you are running to compare these PSUs so I would run them on mine too to see how it fares. I just followed along from the the little video posted saturation (I think). Three diodes and a resistor, scope probes across the resistor, have the scope on single-shot, then power-up the PS. Seems as simple as that. Ah I see now, I watched the video. I have an analog scope and can only see a flash then the screen goes blank. What would happen if during the test he turned on his PSU first, waited a few seconds, and *then* connected the load? Because as far as I can see he is testing how well the PSU starts up and connects the load. The turn on test is a rough test of its transient response, e.g. in a cell phone when you transmit it pulls a lot of power from the batteries causing a potential droop and a good PSU should keep output voltage constant; when the transmission stops, the output voltage should not overshoot since the load is abruptly stopped. In addition there are noise spikes that suggests damaged components. Looking for overshoots on the output is very wise. 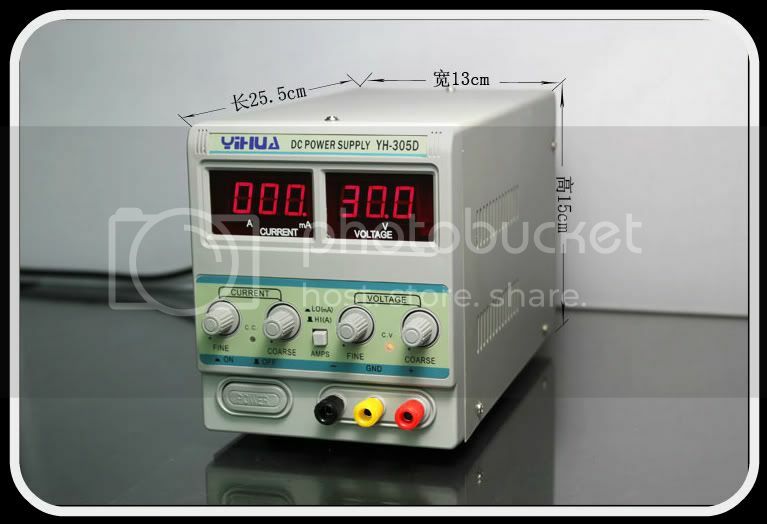 Some powersupplies output a short spike of the maximum output voltage. The bid is now at 10$ + 30$ shipping. Even knowing the faults, would it be worthwhile? I'm really a hobbyist on a tight budget and between the JTag probes, soldering stations etc I have to be frugal. Would a DIY solution be economical? or a kit?